We just barely got over that whole Synonan Gallery thing and now this? We get it. Your MRT is sooooooooo wonderful. Not because of train tunnel ponding. Not because a train “came into contact” with another train with such over-friendliness that dozens of passengers had to go to hospital. But because a train left a station 20 seconds early. Did your train operator go on Twitter to advise commuters to subtract 20 seconds from their train travel time? Was the reverse-tardiness linked to a new signalling project? Or is a deep-seated culture the cause? I suppose that is life. 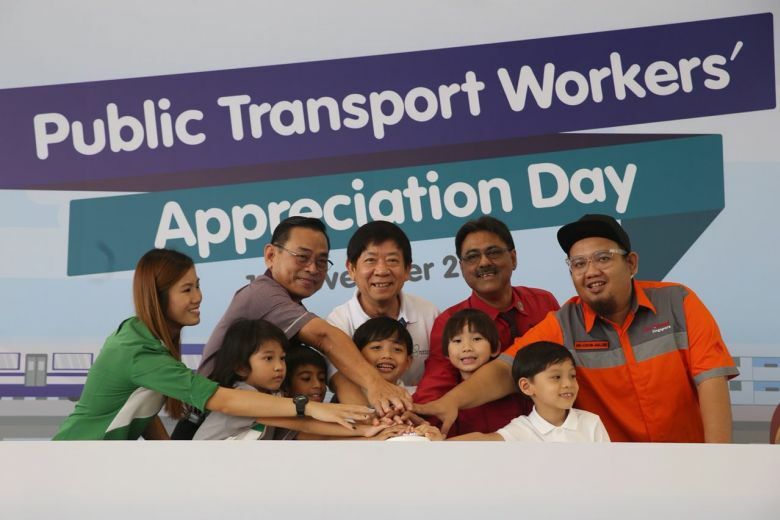 Meanwhile, in Singapore, last Tuesday was Public Transport Workers’ Appreciation Day, where our Transport Minister Khaw Boon Wan said to let the recent train tunnel ponding be a “turning point”. The next day, there was a disruption on each of SMRT’s three lines — the Circle Line, the East-West Line (where the injurious train-to-train contact occurred) and the North-South Line. I call it a hattrick, but Mr Khaw called it “an awful day”. Perhaps this could be the new “turning point”. Yes, our train operator just can’t seem to catch a break. We don’t need you to rub its nose in it. We’re doing that ourselves. On Thursday, SMRT refuted a widely shared post about its CEO firing half of its “night crew”. “This is obviously fake! How would SMRT have been able to complete the change out of all the power rails and 188,000 sleepers if staff count had indeed been cut so drastically? You would think that Singaporeans would at least support SMRT over fake news. But that would be like expecting the Miss Universe Singapore national costume not to be campy. How hard can that be? Seriously. Like I said, our SMRT just can’t seem to catch a break. Even its corporate communications have gone off the rails. And he wasn’t talking about trains leaving the station 20 seconds early. So we don’t need you, Japan, to make us feel worse about it. We don’t need your Japanese CEO of your Japanese car company Nissan to say last Friday that he will return part of his salary after an inspection scandal led to a recall of 1.2 million Nissan vehicles. All we got was a bow from our SMRT chairman Seah Moon Ming last month. Giving up part of your salary is probably more painful. Although after last week’s non-collision and today’s lightning strike, taking the MRT now feels like you could be committing some form of hara-kiri. But then our Prime Minister also listed the top four cities in the world for train reliability and Singapore is one of them. So who’s trolling who now? Sayonara and thanks for the Samurai Burger (but not the Ninja Burger). Why 30-year-old MRT system is looking its age: Rodents and missing cable tabs? Only now SMRT decides to do 'wide-scale audit'?